Ashwaubenon, Wis.- Fans can submit photos of military personnel or veterans through April 8th. 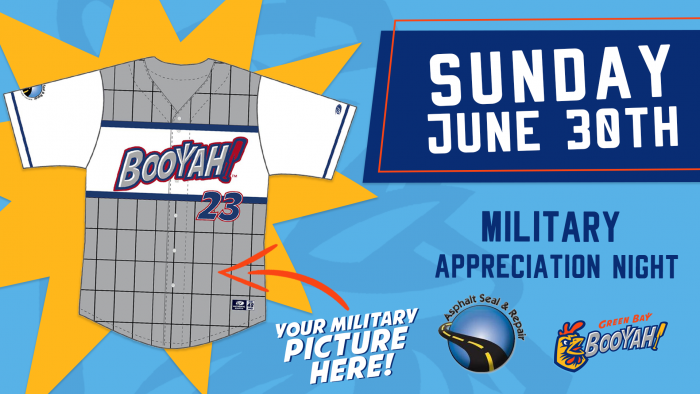 The Booyah have partnered with Asphalt Seal and Repair to incorporate a unique specialty jersey into Military Appreciation Night on Sunday, June 30th, as the Booyah host the Madison Mallards. The jerseys will feature photos of military personnel who are currently serving or veterans who have served. We need your help to create this specialty jersey! Fans may submit photos of current military personnel or veterans to be featured on the jersey. Submitted photos for the jerseys should be portrait style, showing one serviceman or servicewoman in military uniform. The jerseys will be worn by the Booyah and fans will have the opportunity to bid on the game-worn jerseys in a silent auction on the night of June 30th, with all proceeds benefitting the Wounded Warrior Project. The evening will also feature a variety of special events to recognize and honor the sacrifices of active duty members and veterans as well as their families. To submit a photo, please fill out the form below and upload a photo. All photo submissions must be received by April 8, 2019. 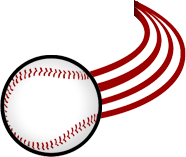 Photos must be JPEG files in high resolution in order to be used on the jersey.